Migratory birds are the entire population or any geographically separate part of the population of any species or lower taxon of wild birds, a significant proportion of whose members cyclically and predictably cross one or more national jurisdictional boundaries (Kirby et al. 2008). 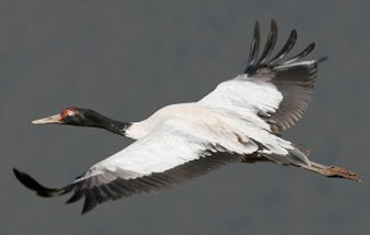 Migratory Waterbirds are defined broadly as migratory birds ecologically dependent on wetlands. (see Partnership Document, Appendix 2). Large numbers of migratory waterbirds often congregate at staging sites (typically, few such sites) for refueling during their journeys, especially before crossing large ecological barriers. Consequently, the loss of staging wetlands may have critical impacts on successful journeys and survival of migratory waterbirds. Spreadsheet of bird names and translations in partner languages. Kirby, J.S., Stattersfield, A.J., Butchart, S.H.M., Evans, M.I., Grimmett, R.F.A., Jones, V.R., O’Sullivan, J., Tucker, G.M. & Newton, I. 2008. Key conservation issues for migratory land- and waterbird species on the world’s major flyways. Bird Conservation International 18: S49-S73.